If you’re considering an air conditioning or heat pump upgrade for your home or business, now is the time. In addition to the quoted price, promotions, and affordable rates available at Legacy Heating and Air Conditioning, you can take advantage of rebates on certain air conditioner and heat pump installations through New Braunfels Utilities®. The acronym, SEER, actually refers to the Seasonal Energy Efficiency Ratio of an appliance as dictated by the Air Conditioning, Heating, and Refrigeration Institute (AHRI). We won’t attempt to confuse or bore you with the math behind it, but just know that different appliances carry a different “score,” and those scores are used to roughly calculate the appliance’s overall energy efficiency and, perhaps most importantly, qualify you for rebates on your purchase or installation – while also saving you more money on energy bills. The important difference between the SEER score and EER score is the “S,” as it turns out. 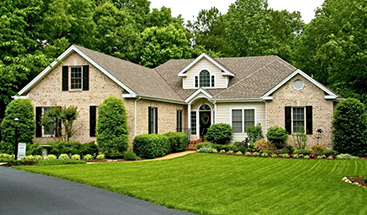 To put it simply, EER (energy efficiency rating) does not include the typical conditions a unit will perform in during its time of use; meaning that your air conditioner would have a very different energy consumption during cooler months, which is pretty irrelevant during a New Braunfels summer. The SEER score is important because it comes much closer to factoring in the actual conditions of the season in question. Think of it like “city” versus “highway” miles per gallon on a vehicle; if we based all of our decisions on the best case scenario – in that case, non-stop highway driving; in this case, AC running during a perfect 75 degree day – then we wouldn’t have a very accurate image of how the unit will actually perform under its most-likely-to-operate-within conditions. Recent regulations have really cracked down on the minimum acceptable efficiency rating on new air conditioners and heat pumps. While the idea of rating AC units and heat pumps on energy efficiency has been around for many years, it wasn’t until 2006 that a federal minimum of 13 SEER was implemented. This may not sound like much, but given that most models predating that time were about an 8 or a 10 on the SEER scale, and the difference in actual energy efficiency between those models is estimated at about 30 percent, it can be quite substantial. In fact, by upgrading a pre-2006 air conditioning compressor, you will likely find that the upgrade “pays for itself” in energy savings fairly quickly. Here in New Braunfels, we are certainly “above the average” for seasonal usage. In fact, autumn here is a lot like summer elsewhere – and summer here is unthinkably warm to those living in cooler climates. With SEER scores based on the average yearly usage of a seasonal summer, you can place a much higher emphasis on the SEER score in our warmer climate, as our “season” of AC usage is much, much higher than the designated average. Basically, a SEER score of even 1 point higher can have an exponential difference on your energy bills, saving you far more than those in a warmer climate will enjoy. So, if you take to the internet and find studies that show you could save as much as $900 per year by upgrading from an 8 SEER to a 14, then remember that you have about double the AC usage of that average. 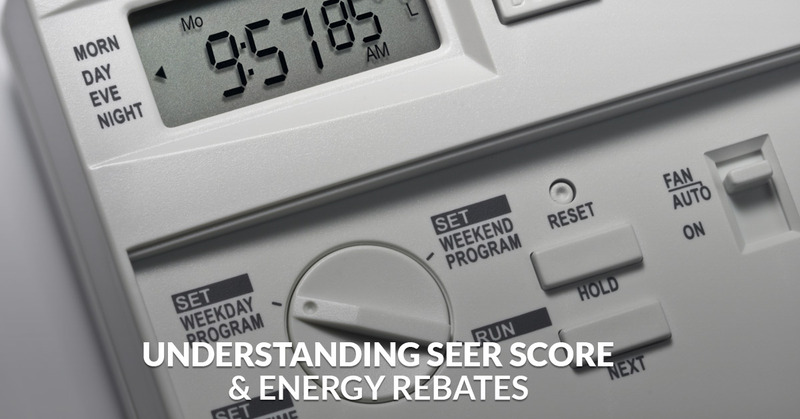 While we can’t promise you’ll save $1,800 each year, you will almost certainly notice a sharp reduction in your energy bills at a proportional rate to the improvement in SEER score you have achieved by upgrading. That’s Great – What About These Rebates? Don’t worry, we haven’t forgotten about the rebates. In Texas, the minimum SEER score possible is 13 – which is still a huge improvement over any 15 to 20 year (perhaps newer) air conditioning compressor or heat pump. However, if you decide to install a 16 to 18+ SEER score unit in your home, you’ll enjoy a lovely rebate from New Braunfels Utilities® – up to $450 on air conditioning or $500 on a heat pump. That’s basically it – no catches, no strings attached – just savings piled atop savings. Not only will you have an all-new air conditioning compressor, full unit, or heat pump, but you’ll save money right away on the installation, and then continue to enjoy upwards of hundreds of dollars in savings each month on your total energy costs. Pair all of that with the fair and affordable prices available through Legacy Heating and Air Conditioning, and you have some sort of win-win-win-win on your hands – you do the math! Reach out to our team today to learn more about saving money on your cooling upgrade!